For years businesses have engaged brokers to evaluate, negotiate and implement health coverage for their employees. While this is still a significant part of what we do for our clients, brokering coverage does little in the way of reducing healthcare costs or creating healthier more engaged employees. 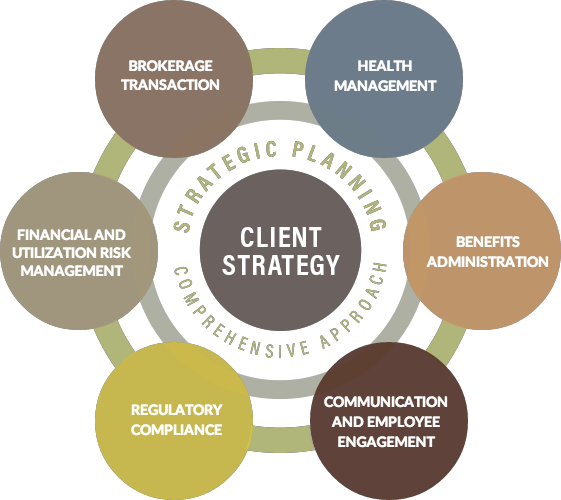 Our team focuses instead on an overarching client strategy, a strategy that guides our actions and investments with the ultimate goal of reducing healthcare costs. We stay current on employee benefit law, ensuring you are informed and empowered to handle issues before they become crises. Our analysis is designed to help you make wise decisions and strategies about your plans based on facts. Phillips conducts traditional health and welfare transactions on your behalf, so you can keep your focus on moving forward. 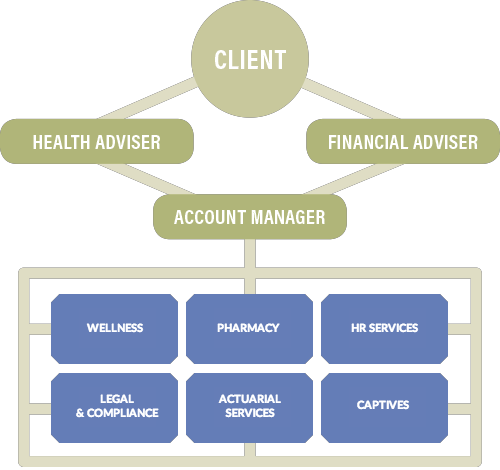 We’ll help you identify risks and develop health management initiatives to improve employee health and mitigate costs. We handle administration and critical issues to reduce your liability and increase your team’s focus on your primary business goals. Phillips comes alongside you, helping you communicate with and educate your employees about their benefits. Benefit Advisors Network is the premier nationally credentialed network of independent benefit advisory and consulting companies. Through our strategic partnership with BAN, Phillips Financial has expanded our bandwidth and expertise with the addition of several key services. This partnership allows us to offer world-class expertise and service while also keeping overhead and fees as low as possible. Wellness: Drive employee morale, health and productivity. Pharmacy: Boost the quality and cost of prescriptions. HR Services: Leverage technology to streamline processes. Legal & Compliance: Navigate healthcare legislation, regulation and reform. Actuarial Services: Prepare for the financial impact of risky situations. Captives: Establish reinsurance programs for predictable risks.